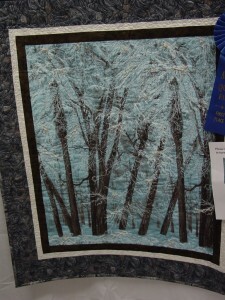 The weekend before last, I attended the Ashe County Piecemakers‘ Quilt Show in West Jefferson. 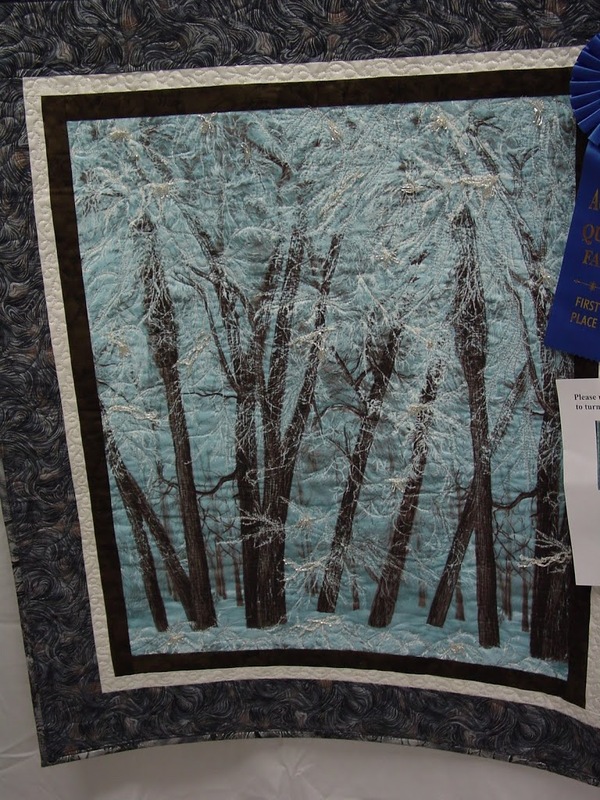 I don’t know the etiquette on photographing quilts at shows, but I don’t use my flash (because of fading) and I don’t copy anybody’s design. These two were simply snapped for inspiration. 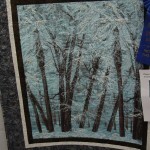 One was chosen because it’s a landscape quilt with lots of sparkle, the kind I would like to produce. 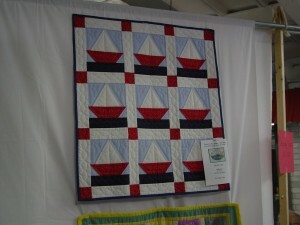 The other gave me a layout idea for a crib quilt for PJ! Filed under Uncategorized |	Comments Off on And more!